Wooster, OH – GeoClub met for the first time in the 2017-2018 academic year, allowing us to catch up with old friends and meet new ones. It was our good fortune to host a special guest, Jesse Davenport, a 2011 Wooster Geology graduate. He joined us for GeoClub lunch in Lowry, reminiscing about his time at Wooster and sharing his story of life after graduation. 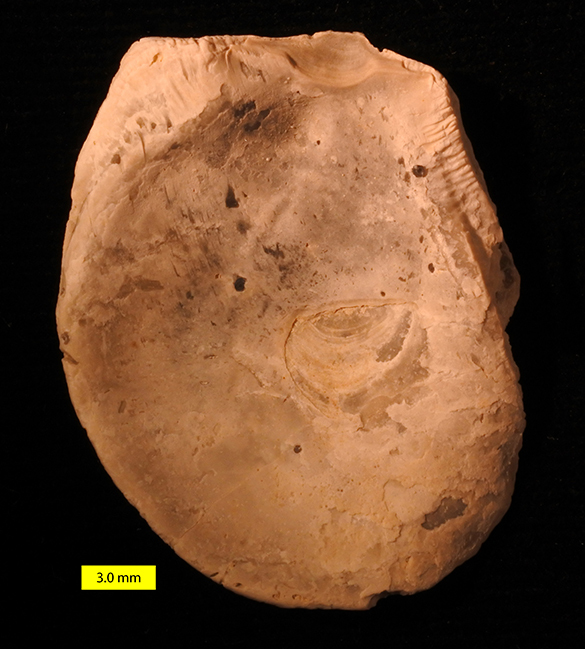 As a special favor, he agreed to write a post about his experiences for the Wooster Geologists. Thanks, Jesse! 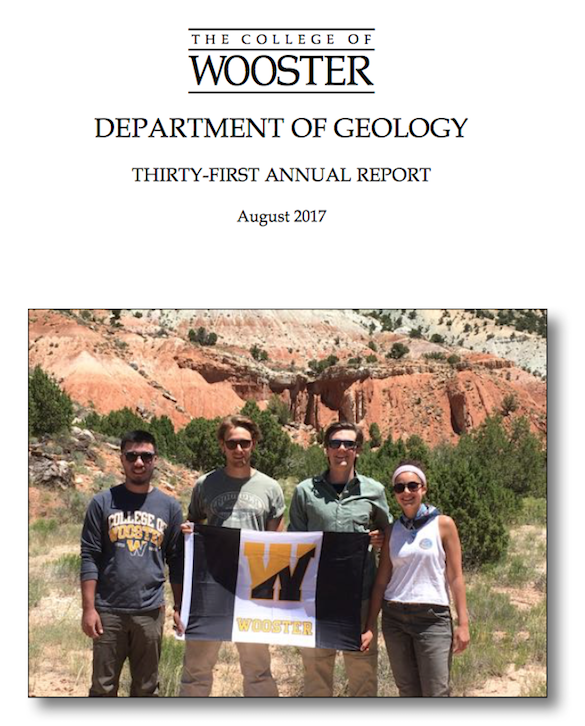 If you’re a Wooster Geology graduate and would like to share your story, please contact Dr. Meagen Pollock. 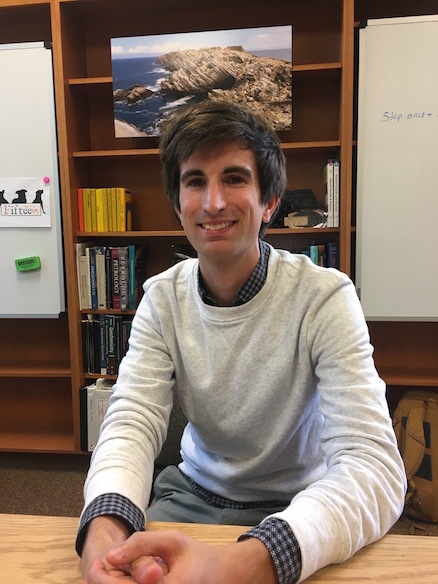 Jesse Davenport (’11) visited the first meeting of GeoClub and shared his experiences of life after graduation. Since Wooster, lots of thing have happened, traveling, seeing new places, meeting new, interesting people, discovering new cultures and many other things. After I graduated from Wooster, in 2011, I went on to the University of Notre Dame where I pursued a Masters degree in lunar geochemistry for two years. After this, I worked various jobs, but at the same time was searching for what would come next, whether it was a real job in some sort of geological field, a PhD program or even something else. After a few options fell through or where not that appealing I decided to apply for a PhD position that I had seen on the internet in Nancy, France (located between Paris and Strasbourg). I really didn’t know what to expect and to be honest, I thought that my skype interview with my potential advisors was the worst interview that I had ever done. But, despite this, they accepted me and with nothing else in mind that was interesting, I decided to accept this position. Now, I am not one to complain about things, but you do not know what paperwork is like until you have lived as a foreigner in France (or maybe just in any foreign country in general). It was nightmare, plus add on top of that not being able to speak French, all the culture shock and you get a scenario that would send most be people running. I stuck it out though and here I am four years later, I am almost finished with my thesis. My PhD topic focuses around the dynamics of weathering and erosion in the Himalayas. 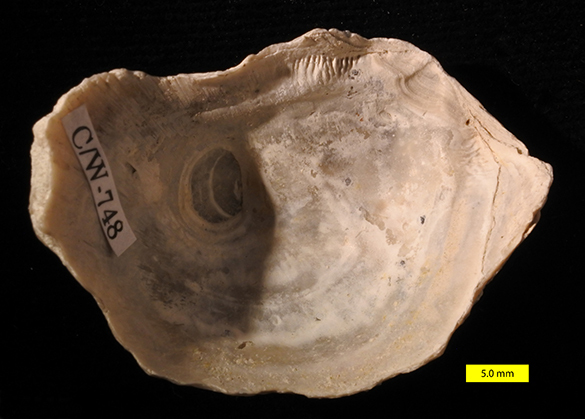 In the early 1990s a huge debate began, at the advent of the Ocean Drilling Program from which we now had access to oceanic records that spanned millions of years, about what are the interactions between climate, tectonics, erosion and weathering and whether that has spurred the changes we see on the Earth throughout the past 5 million years. One of the biggest questions in the Himalaya is that we would like to know how uplift and erosion has affected the global concentrations of carbon dioxide throughout the past 50 millions years. 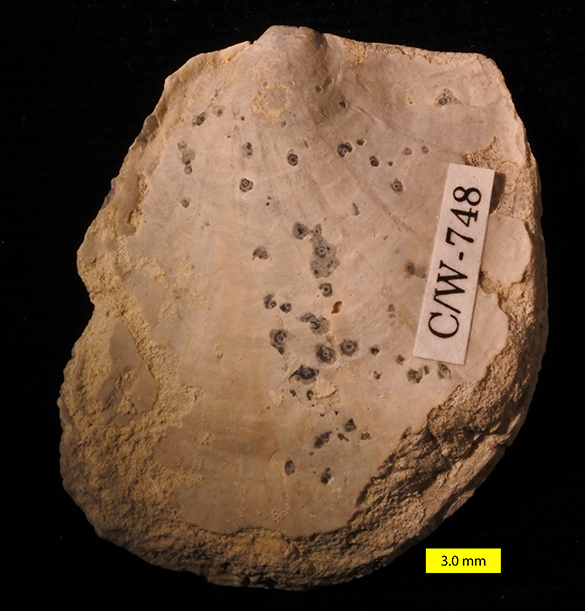 Silicate weathering (along with organic carbon burial) is one of the mechanism that mother nature uses to regulate the the amount of carbon dioxide in our atmosphere. Of course, we have had eras where these levels have been higher or lower, depending on the situation at that moment, but in general silicate weathering is the process that controls these levels. So, my PhD focuses on the isotope geochemistry of sediments, rivers and other material in the Himalaya to try to understand how the Himalaya, at present, function with respect to the dynamics between erosion, weathering and climate. 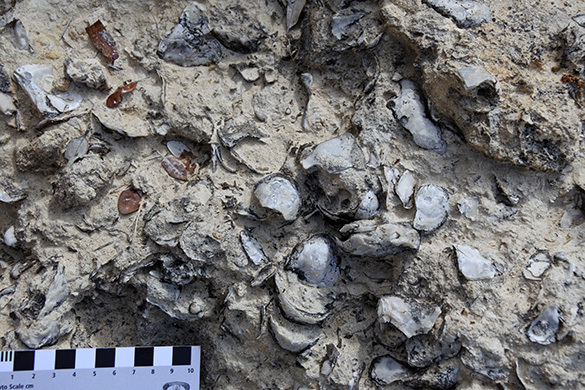 The Thirty-First Annual Report of the Geology Department is now available online with this link. Our Administrative Coordinator Patrice Reeder has once again done a magnificent job putting this document together, with amazing attention to detail and an artistic eye for format and style. Read and enjoy! 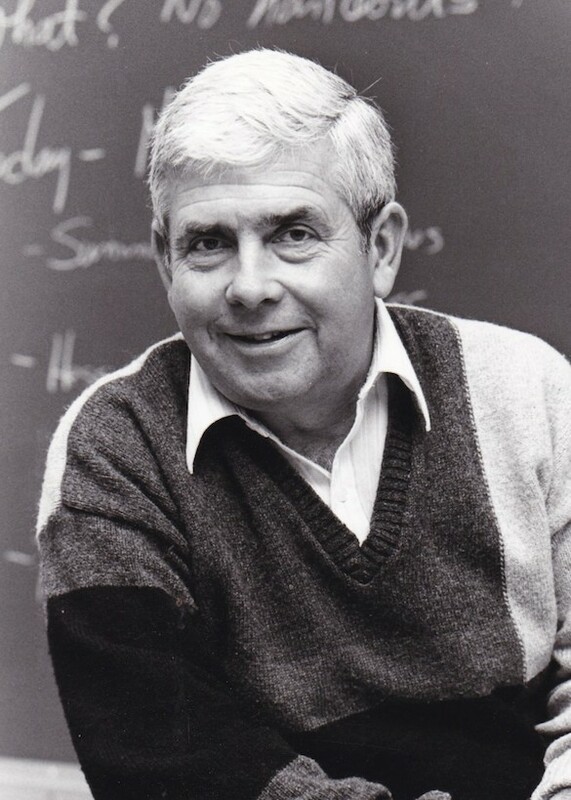 Professor Fred Cropp taught geology at Wooster from 1964 to 1997. He was an extraordinary teacher and, in his own words, “a cheerleader for geology”. 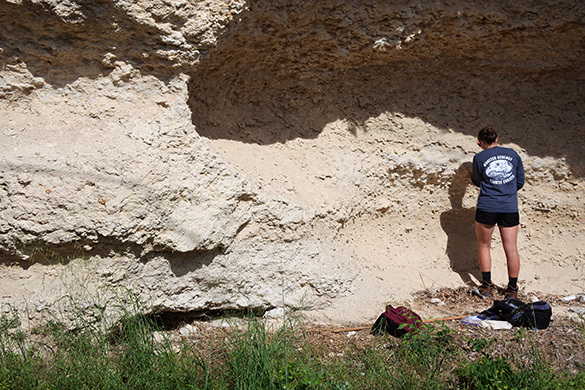 Many, many Wooster students became geologists in response to his enthusiasm, energy and spirit. I was one of them. His obituary and memorial page is here. 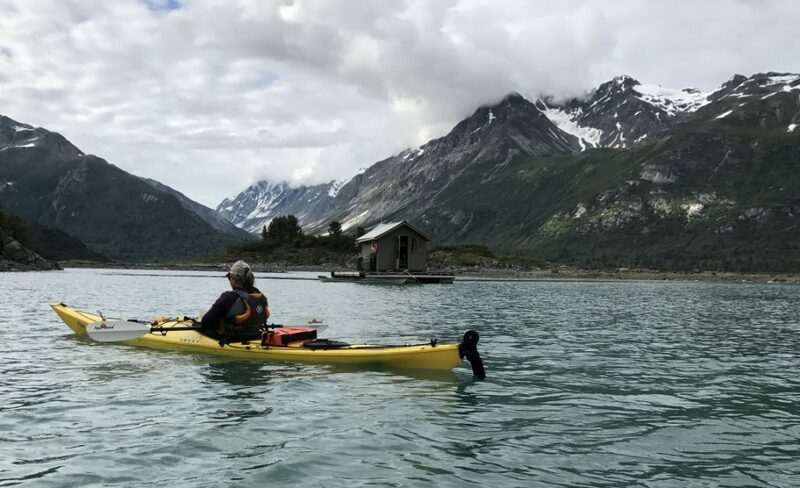 I recently had the pleasure to work with a team of ecologists for eight days in Glacier Bay National Park and Preserve. 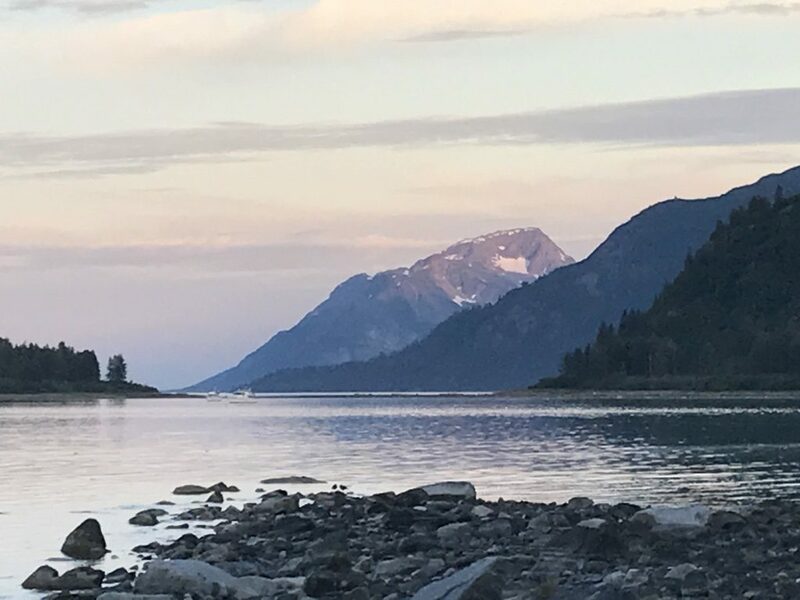 The point of the trip was to reoccupy and expand investigations of the Cooper Plots established over 100 years ago in the wake of the retreating ice in the West Arm. A nice rundown of this ecological succession work is presented here on Glacier Hub. The ecology team recently published on their rediscovery of the plots, which was heroic considering the immense lands, intense brush and sometimes cryptic description of the plot locations. 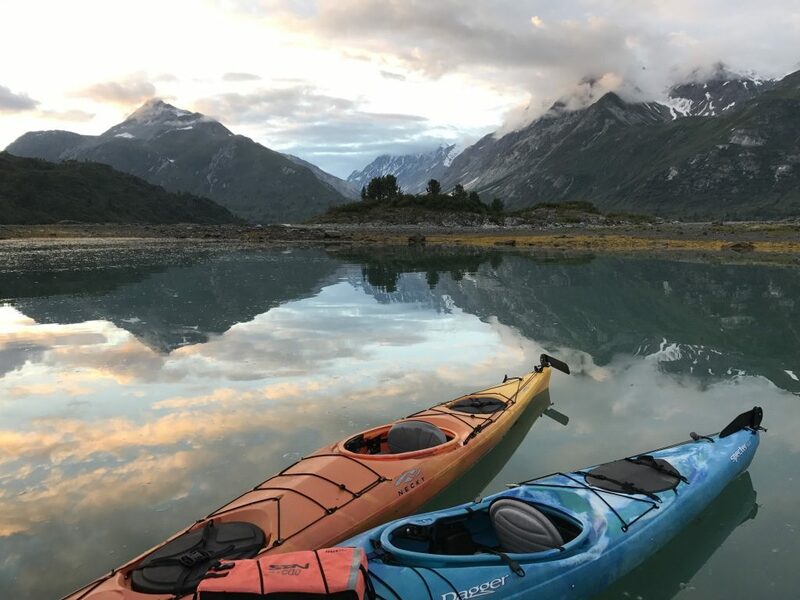 The accommodations and views in the West Arm of Glacier Bay were spectacular. Logistics of the project were supported by the National Park Service, who we gratefully acknowledge. The team of ecologists included (left to right) Drs. 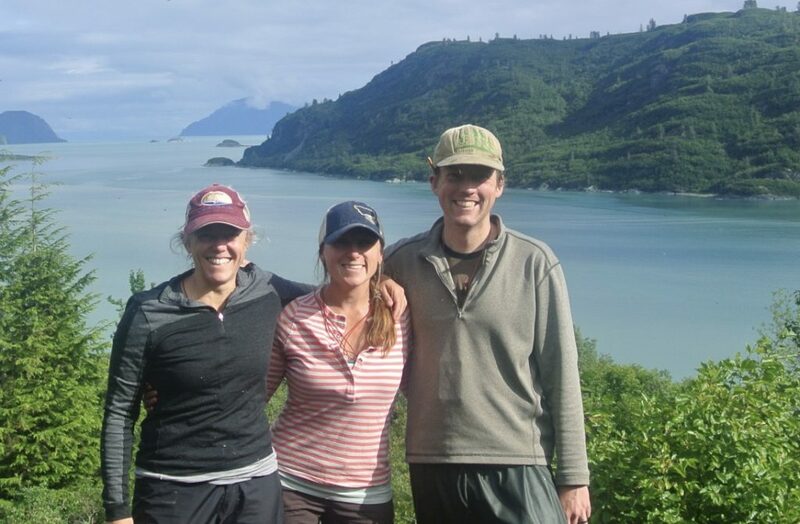 Allison Bidlack (Director, Alaska Coastal Rainforest Center, University of Alaska Southeast), Sarah Bisbing (University of Nevada – Reno) and Brian Buma (University of Alaska Southeast). I was along to core trees at the sites (Wooster Tree Ring Lab) and to measure the size of alders. Sarah and Brian cordon off one of Cooper’s 1-meter plots with string so we don’t trample the vegetation. 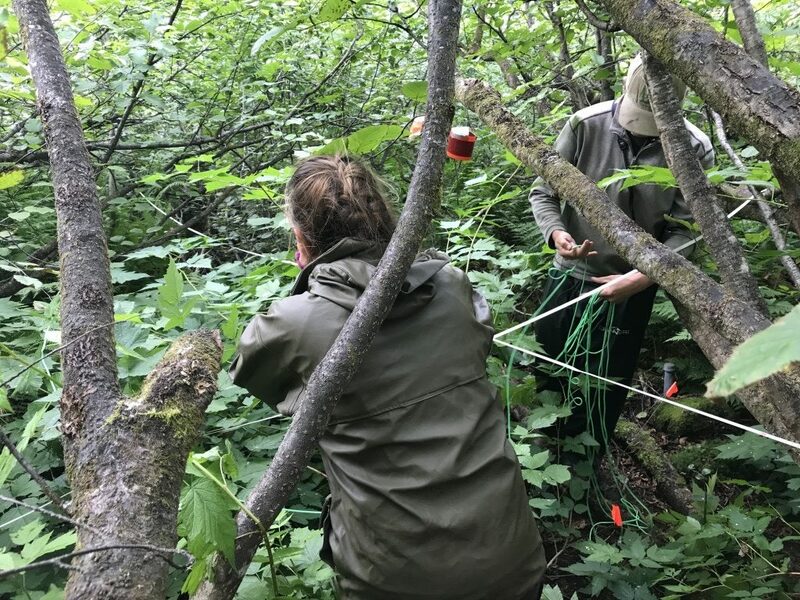 Sarah reals out a 15-meter tape with Allison on the end somewhere deep in the alders. 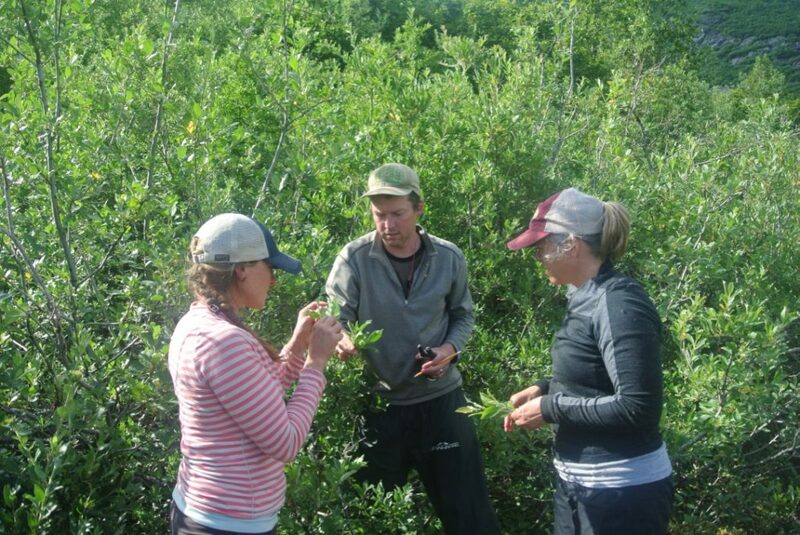 The group then carefully described the species present at each site among other observations and measurements. The Russell Island raft served as headquarters for much of the trip. 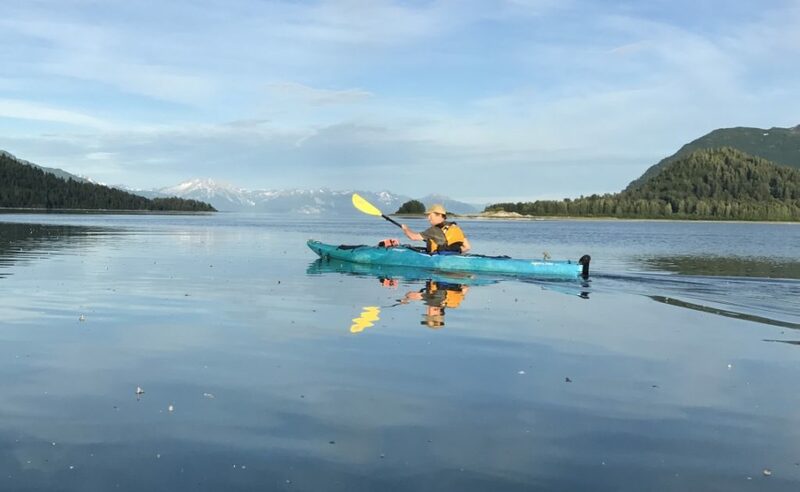 Chasing Brian across the fjord was the typical start of a day working the Cooper Plots. As it turns out there are multiple species of willow and distinguishing them from each other is not as straightforward as one might imagine. 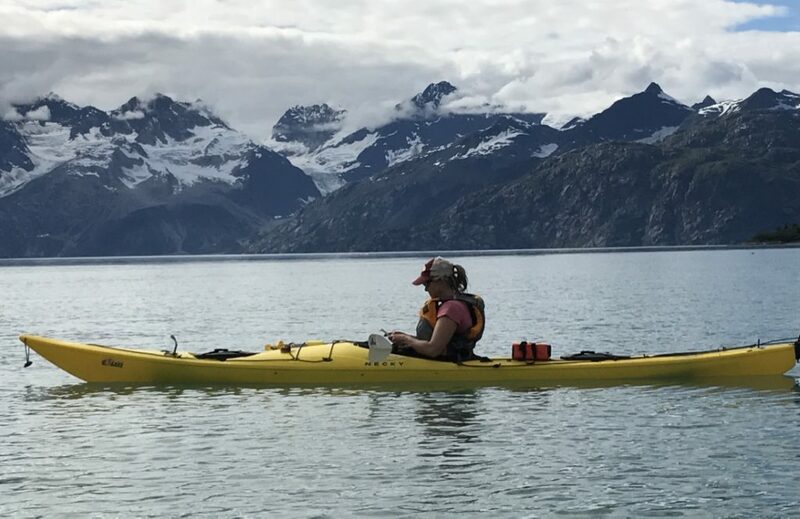 Allison pauses in the West Arm on the way over to view Reid Glacier. 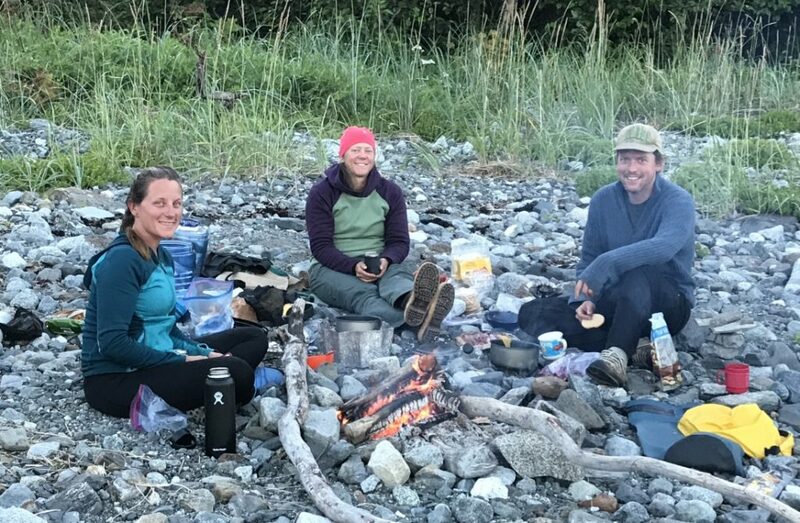 Not only did I learn more about the biosphere of Southeast Alaska, but I also learned something about cooking in the field and Wooster trips may benefit from this in the future. 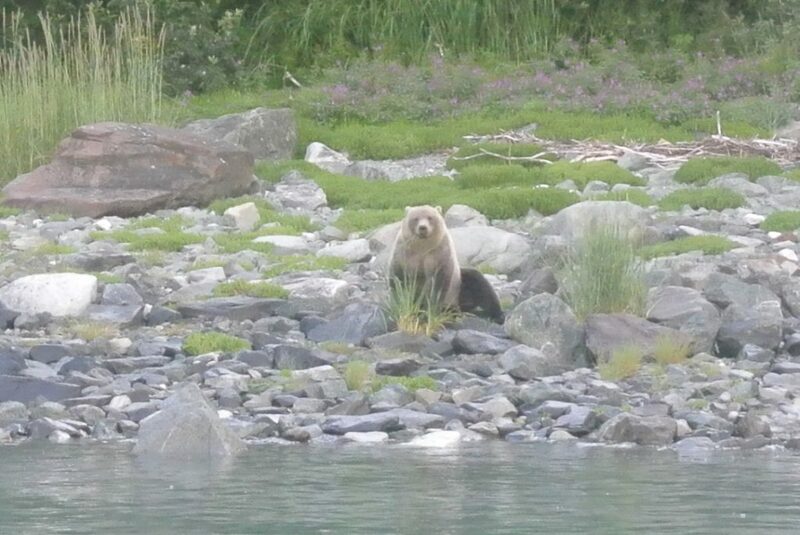 This grizzly visited us a few times – quite possibly the most adorable bear in the region. An excellent view of Marble Mountain looms in the distance.